Loved taking a tour through your garden. My 6yo planted marigolds and tomatoes this year. It’s so cute to watch him care for them! This would be a beautiful addition to my garden party – hope you can stop over and join the fun! beautiful shots of the flowers, I’m going to try my hand at growing herbs this yr too, the salad recipe looks refreshinly good! thanks for sharing! Enjoyed stopping by and seeing your garden! 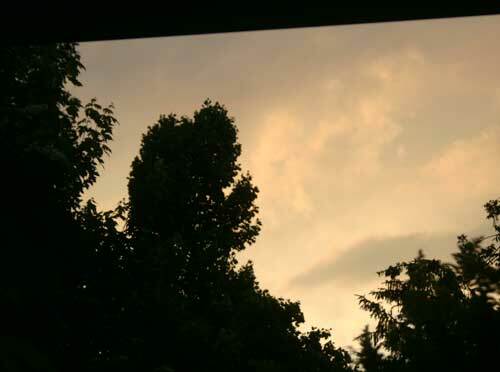 My blog is pretty new and would love for you to come by. 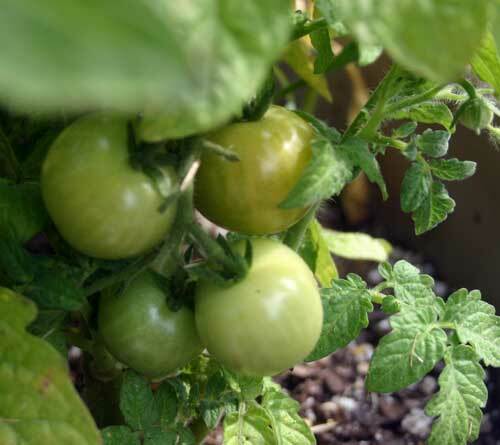 I have tomatoes in pots and herbs, too. I love all the stuff growing right now. 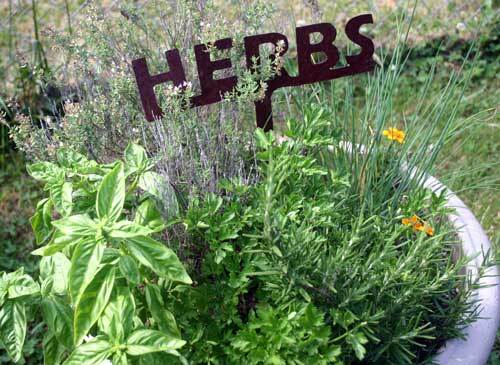 I love the herbs in a container garden. Mine are still indoors, but I think it is safe to take them out in Vermont now. Great inspiration and much needed since I am still “displaced” after a month in New Orleans. 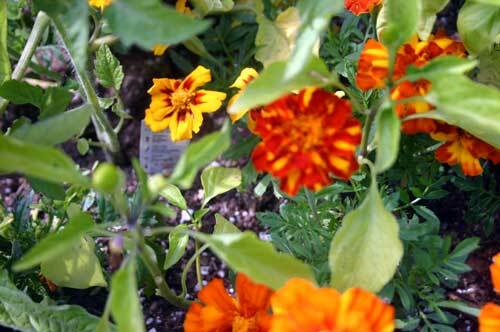 I did not know that about marigolds improving the soil!!! Beautiful garden, and getting ready to harvest. How lucky you are. I love looking at the “Southern” blogs…we are only seeing sprouts up here at the Jersey Shore, but I can see what we have to look forward to. Love the marigolds.